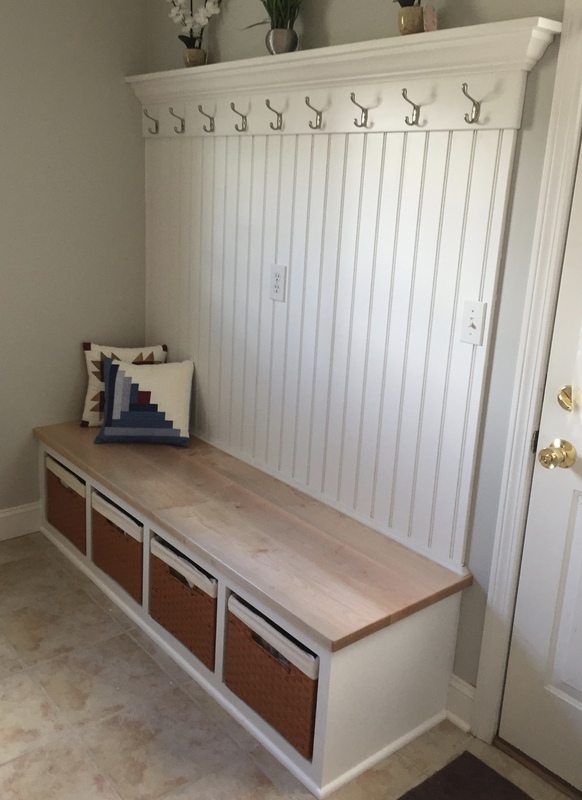 Mudroom bench seat with pull out lined wicker baskets. 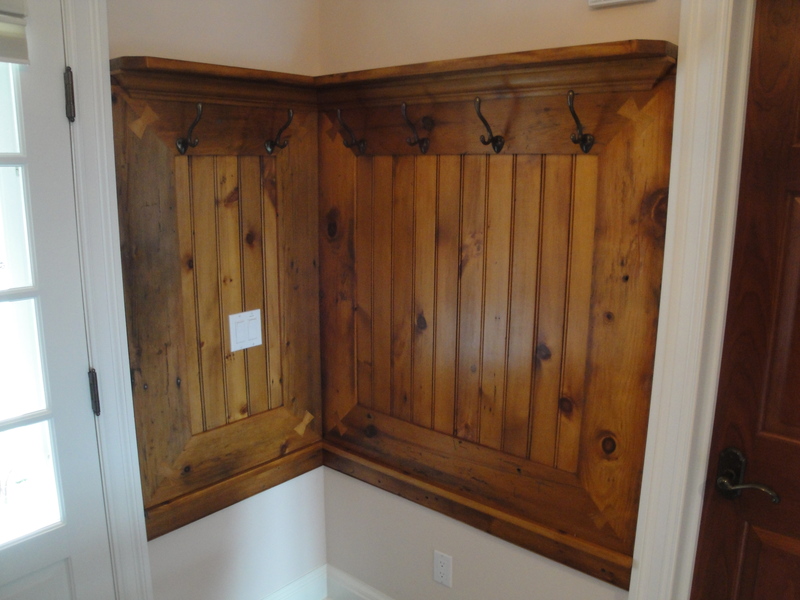 Bead board back with coat hooks. 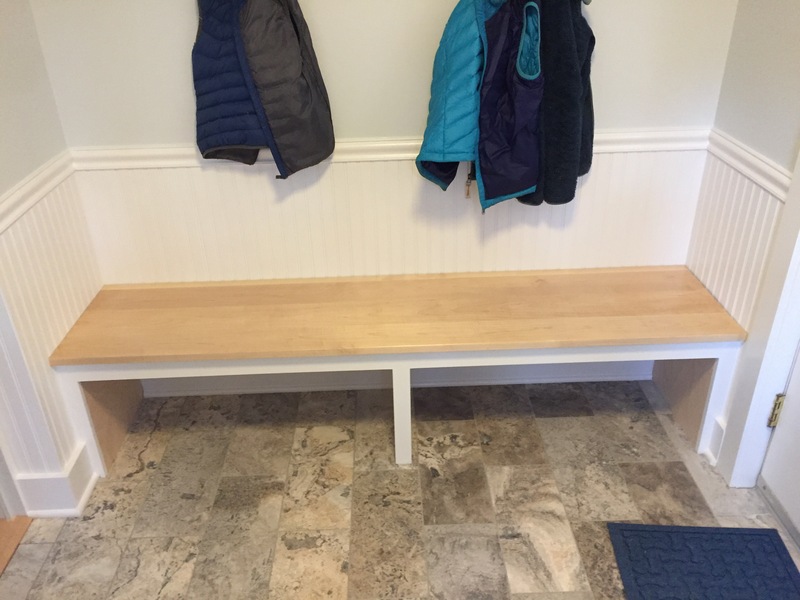 Reclaimed pine from a local barns floor boards was used for this fun and unique coat rack. Inlayed bow ties in each corner with a beaded panneled center. 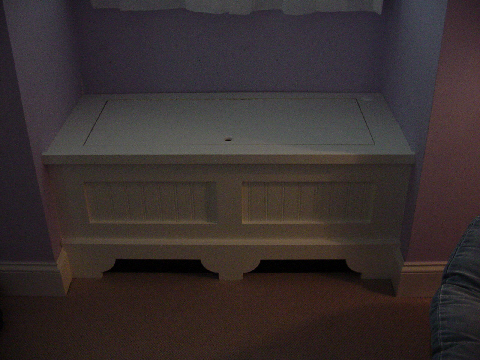 Modified oil finish.